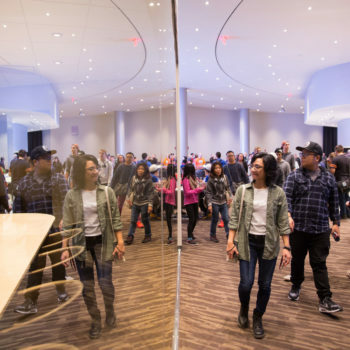 Thousands of fans waited eagerly inside Ford Hall on Saturday morning to get their first glimpse inside downtown’s newest facility. 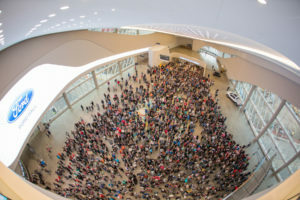 Fans lineup inside Ford Hall before the gates open for the Rogers Place Open House. 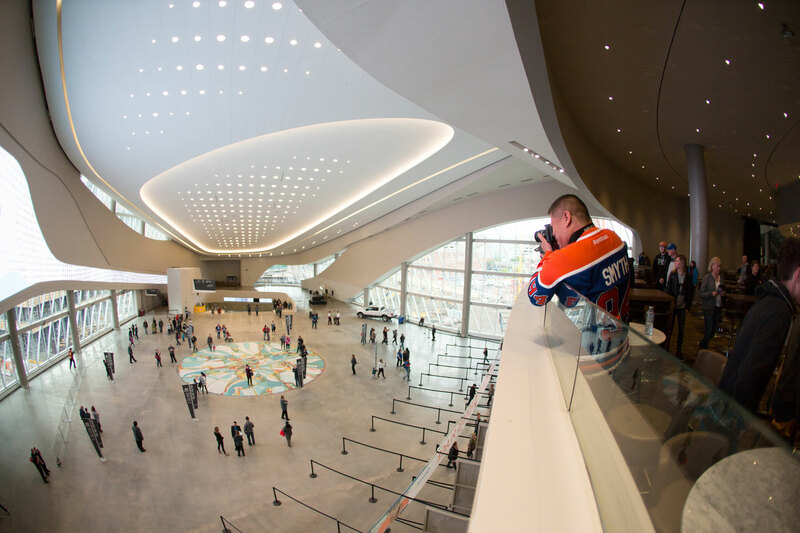 “Wow,” “amazing,” and “incredible,” were just some of the words being used to describe Rogers Place as fans explored the many different levels and areas, once inside. Born and raised in Edmonton, Torrens said the highlight of his tour was seeing the bowl. “I’ll make sure to get some tickets when they’re released on Tuesday!” he added. curves and immense natural light, there was something spectacular waiting to be seen around every corner. Fans take-in the views from the PCL Loge Level. 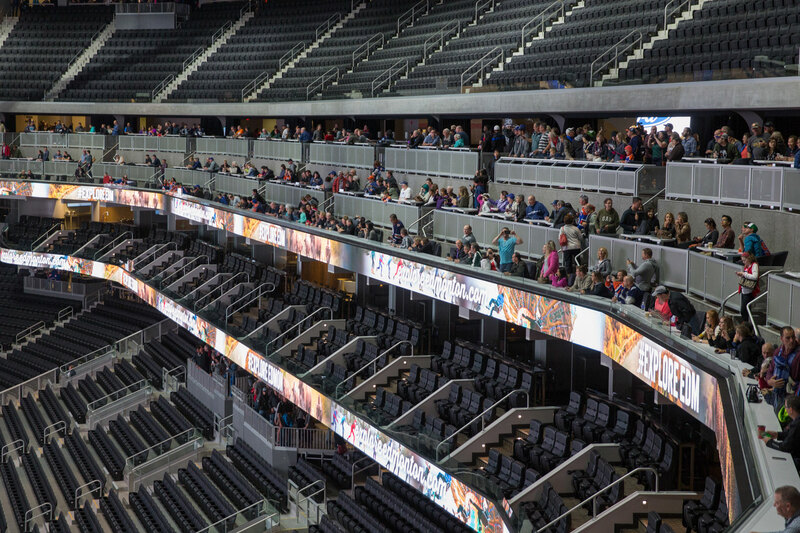 “Edmonton is very lucky to have a facility like this,” said Oilers fan Randy Bertrand. The three generations were left speechless by the sheer size and clarity of the scoreboard. “It’s magnificent. 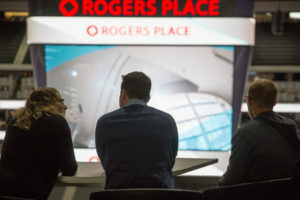 It really gets your attention as soon as you see it,” said Bertrand. “This is just absolutely amazing,” he said, his eyes lit-up with excitement. 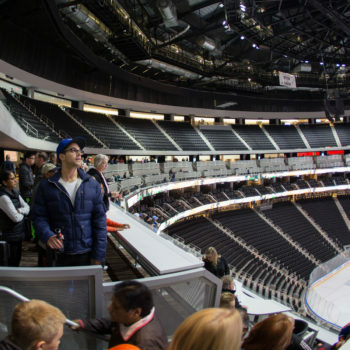 “We have season tickets right here!” said the Edmontonian, as she checked out her season seats in the upper bowl together with friends. 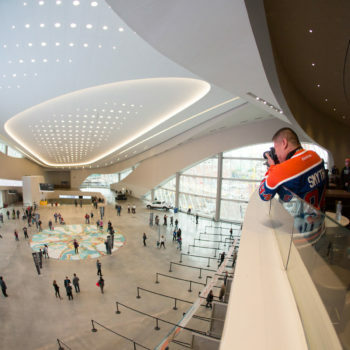 With an estimated 60,000 people visiting Rogers Place over the course of the day, the energy inside — and outside — the building was awe-inspiring. 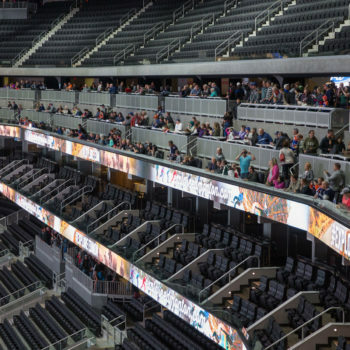 “This is absolutely the day I’ve been waiting for since I came home to Edmonton,” said Vice President and General Manager for Rogers Place, Susan Darrington. Not only are the fans excited to see Rogers Place, but Darrington expressed the shared excitement among the Rogers Place staff. 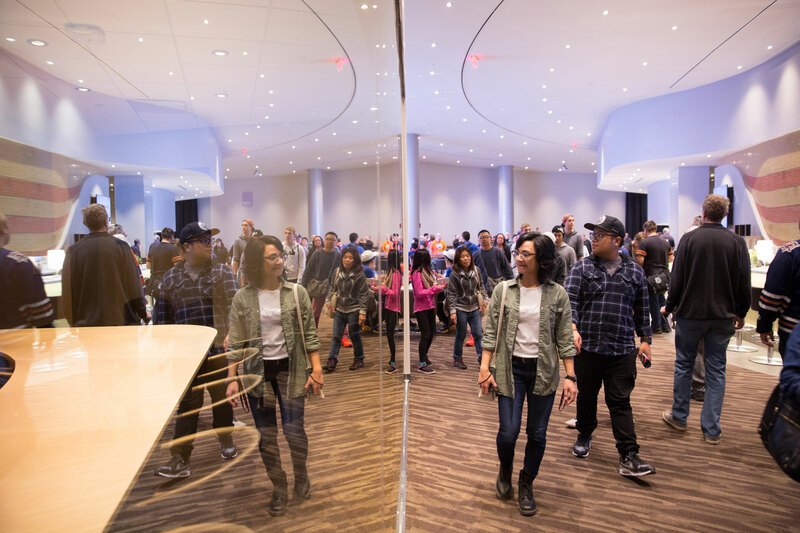 “Watching fans gather in Ford Hall and the building for the first time is absolutely what’s been motivating our staff and to get the building ready. We couldn’t be more excited,” Darrington added. “Today is a great day for the city of Edmonton to be able to come into your new house, and for us to host it,” she added. 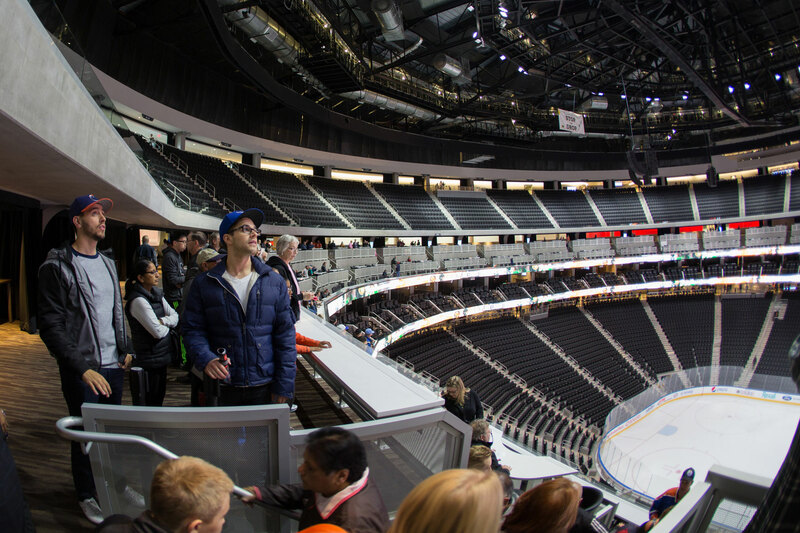 For the very first time, the city got a first-hand look at the future of Downtown Edmonton and ICE District — one that will bustle with energy and excitement, redefining the experience for those living, working or visiting Alberta’s capital.